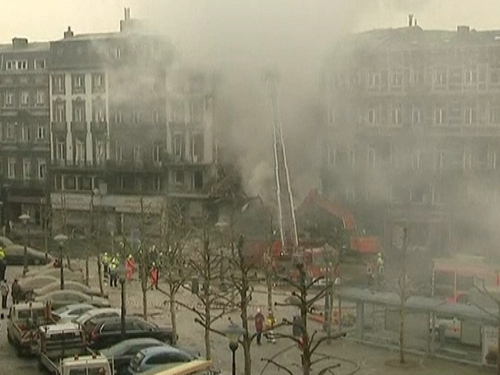 An apartment block in the Belgian city of Liege has collapsed, trapping two people under the rubble. An explosion occurred at around 2am, damaging a number of buildings in a street in the centre of the eastern Belgian city. The five-storey apartment collapsed at 7am local time. A fire brigade official confirmed that two people ware trapped under the rubble, with around 20 people injured. He did not specify how many were seriously injured. The explosion appeared to have been caused by a gas leak.